I finished my annual slow motion launch compilation video today. Got it down from an hour and a half to under 15 minutes. I had to take out nearly 50 launches and trim every one to the bone to do that. But there are still 103 individual launches, including a couple drag races with two rockets at a time. Tonight, we recorded another episode of The Rocketry Show podcast with AeroTech General Manager Charles Savoie. There's some fascinating news coming forward from Quest Aerospace. As some long time rocketeers know, it has been hard the last couple years to get hold of Quest model rocket motors, the only other black powder motor comparable to Estes engines available in North America. Quest will no longer be making black powder motors. 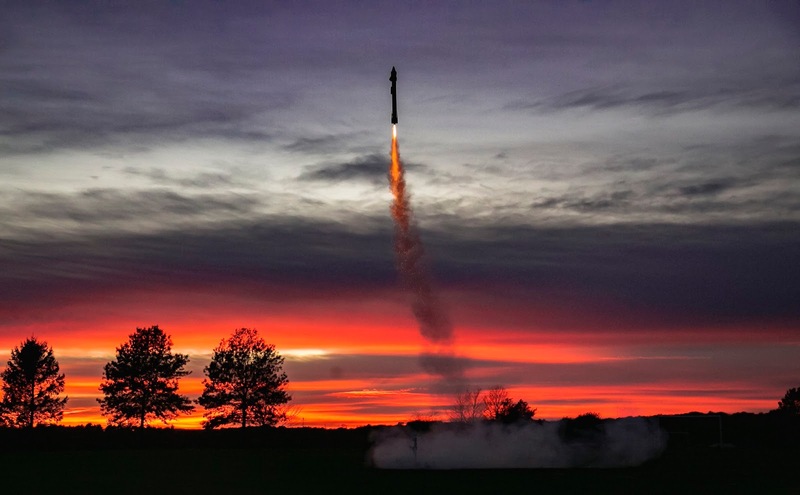 This is unfortunate, especially for rocketeers who liked the slightly lower thrust but longer burn as compared to Estes motors, but things became complicated as Quest is shifting motor manufacture back to the United States from China. However... 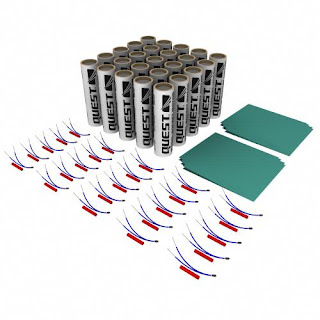 There will be a brand new line of Quest model rocket motors - composite motors. I promised not to give too many details, other than that Quest, now owned by AeroTech, will make motors for model rockets using ammonium perchlorate composite propellant, the same propellant used in high power rockets (and the Space Shuttle solid rocket boosters), but in smaller form. More info will be released by AeroTech at NARCON 2017. I hope to be there to do some Rocketry Show coverage. Estes designer John Boren. Image from his website. I'm working on the last installment of my "Weight of Paint" series. Longtime blog readers won't be surprised - it's a tad long. This one is longer than most, because I'd like to wrap up the series and move on to another subject. On top of that, I had to delete an entire section I'd written, because I realized it was all wrong. In the mean time, if you haven't already, check out the latest episode of The Rocketry Show podcast. This is a good one. 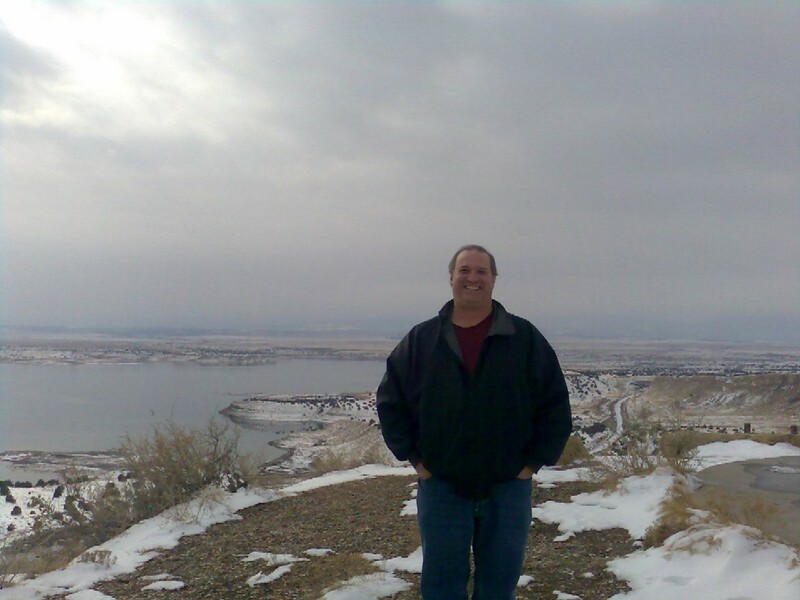 We interview John Boren, who is the designer at Estes Industries. We often discuss high power and advanced rocketry topics on The Rocketry Show. As The Rocket N00b, I was excited to talk to someone who works in low and mid power model rocketry, and especially someone who works for Estes. Any new kit that has come out in the last six years was designed and tested by John. Many re-releases were updated or redesigned by John. It's a fun, fascinating interview, with some behind-the-scenes information about the largest model rocket company in the world. John kept chatting with us for a good hour and a half after we stopped recording. He told us lots of great stuff, and I could have listened to him for hours - he was certainly willing to keep chatting with us. Since I had to get up early the next morning, I had to say goodbye. But it was a great interview, and John followed up with us, sending us photos of some of his own scratch built rockets. Speaking of Estes, I'm sad to say that it seems the Mini Max, the downscale version of Der Red Max, is now out of production. It's one of the rockets which have recently been drastically reduced in price on their Specials page. I was considering getting one, but I waited too long, and missed out. 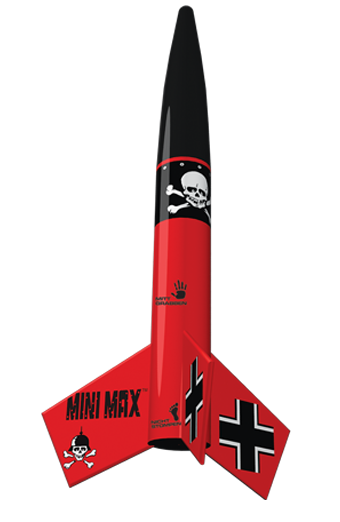 The rocket is still available from a number of online model rocket vendors, so you can still get one. But not nearly as cheap as the Estes markdown price. If you see a drastically-reduced rocket you like on Estes, buy it - quickly. It may soon be gone forever. End of Year Video, Upcoming Interviews, Final Launch, News, Etc. At the end of the year, for the past two years, I've published a slow motion launch compilation video on my YouTube channel. It can take a while to compile all the video, trim everything down to just the launches, keep it short enough that people will watch it, find music, etc. This year's video already contains 149 individual launches, and I have one more in Maine this weekend. The video as I've trimmed it down is still nearly a half hour long - far too long. I may have to do something I was hoping to avoid: take a few clips out. Most of the video was shot on my camcorder, so the slo mo isn't great. But a couple of times, Joe Barnard, the guy you may have heard of who's working on a project to build an actively stabilized, finless model rocket which lands under thrust (like the SpaceX and Blue Origin vehicles), came along with me. Echo, one of Joe Barnard's test vehicles, lifting off at sunset. Note the lack of fins. Joe is a professional videographer, and last time he shot some super slow motion video. Some of this video is so slow, I've actually had to speed it up 2, 4, even 8 times, just to keep it from being too long. This isn't even the slowest video! I've continued uploading videos in the Quest Superbird building series. 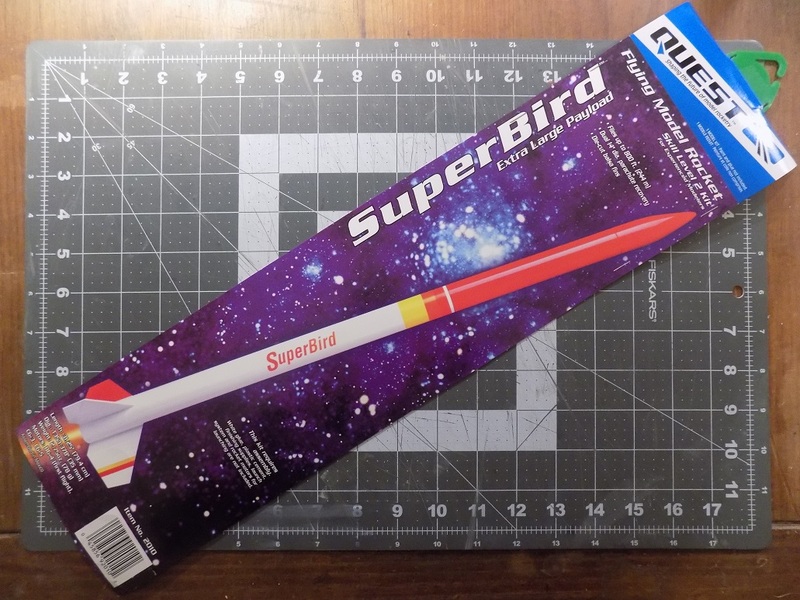 What started as a simple model rocket build has become... more interesting. The kit threw me a few curve balls, so I've had to make some adaptations. But it's a good learning experience for anybody who opens a kit and finds some inconsistencies. You can see the playlist here. Tonight, we're recording a new episode of The Rocketry Show podcast. We'll be talking with John Boren, designer and head of R&D at Estes Industries. I'm really excited for this one. On The Rocketry Show, we talk a lot about high power rocketr. But tonight, we'll get to chat with someone from the oldest model rocket company on the planet - and one who designs low and mid power rockets, no less. I'm hoping I'll have more to contribute to the conversation on this episode. Saturday, I'm going to my final launch of the year, up in Maine. This will only be my sixth launch this year. I need to plan out next season a bit better. I still have to decide what to fly this weekend. The initial plan is to fly anything that's been built but not flown, and a few things that only flew once last year. Then, Sunday, we'll record another episode of The Rocketry Show, this time discussing my recent series on the weight spray paint can add to a model rocket, and how that can affect the flight. Once that series is done, I plan to go back to my unfinished series about rocket stability for Rocket N00bs, from which I hope to springboard into a discussion of multistage rockets, simple design, and building from scratch - three topics I've avoided so far simply because I knew the stability series was incomplete. And I'll be addressing a topic I should have covered much earlier on in the life of this blog - model rocket safety! Winter seems like a good time to cover some of these concepts. Plenty of time before next flying season. And plenty of time to build more rockets.